Cover art for Doom Patrol #6. DC Universe has just announced its live-action Titans show, which has yet to premiere, is already getting a spin-off series: Doom Patrol, based on the exceptionally weird superteam. We knew that Doom Patrol—the quirky supergroup that first appeared in 1963, and is perhaps best known to Teen Titans fans as the group that Beast Boy originated from—would be coming to Titans, with several of the group already cast for guest roles on the show. Now, Titans showrunner Greg Berlanti will give that same version of the team its own 13-episode spin-off series. Warner Bros. describes Doom Patrol as being set after the events of Titans; it follows Robotman, Negative Man, Elasti-Girl (not to be confused with The Incredibles’ Elastigirl) and Crazy Jane as they’re united by the genius Dr. Niles Caulder—a.k.a. The Chief—after gaining freakish superpowers, in order to explore the weirdest and most dangerous phenomena they can find. In a provided press release, Warner Bros. states that the series will see Cyborg (who has, intriguingly enough, not been cast for Titans yet) offer a mission to the team that they can’t refuse, promising that their lives will never be the same. Well, apart from the bit where they’re going on bizarre adventures... that will probably be the same. 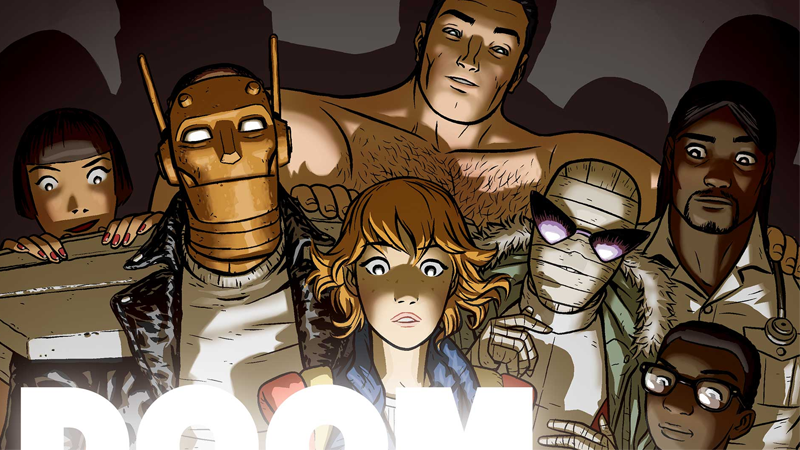 Doom Patrol is set to air on DC Universe in 2019.